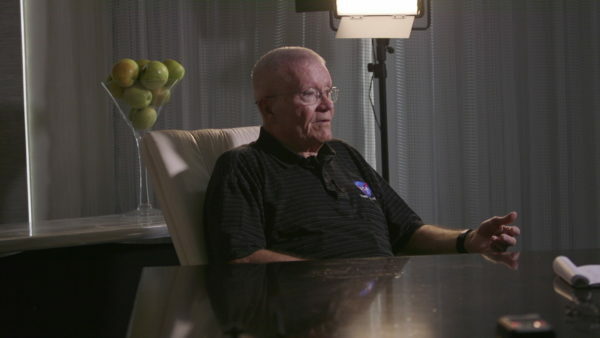 Apollospace is embarking on an Indiegogo fundraising campaign to complete our Apollo 13 film, “Reflections: Apollo 13 in Pictures and Words” with Apollo 13 Astronaut, Fred Haise. The most incredible Apollo images, fully restored at the highest resolution, are brought to life for our “Apollo Reflections” series – films featuring Apollo photography described by the men who were there, beginning with our first film released for the 50th anniversary of Apollo 7, “Reflections: Apollo 7 in Pictures and Words,” featuring astronaut Walt Cunningham. 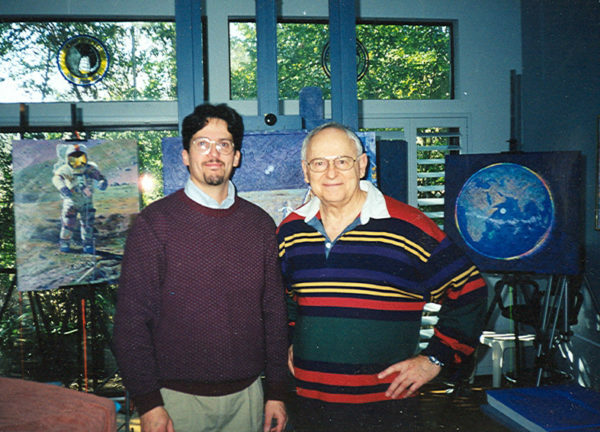 Your contribution will help us complete the second film, “Reflections: Apollo 13 in Pictures and Words,” with Apollo 13 astronaut Fred Haise, as well as record additional astronaut interviews. If a picture is indeed worth a thousand words, then the story of Apollo, told through the nearly 20,000 photographs taken during the eleven manned Apollo missions between 1968 and 1972, would literally take tens of millions of words to tell. The Apollo Program was, undoubtedly, one of the greatest accomplishments in human history. 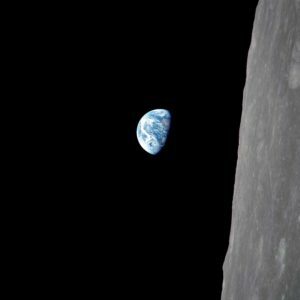 Human beings, for the first time, left the Earth and gazed back at our beautiful planet, the source of all we have ever known, learning more not only about the wider universe, but also about ourselves and our own world. This project cannot possible begin to come close to telling the full story of Apollo – what we are doing is producing the most beautiful, fully restored, high resolution Apollo mission flight photographs available anywhere and featuring them in a series of documentary-style interviews with the Apollo Astronauts who took them. Collectively the Apollo mission images and the reflections of the astronauts about them tell a story the likes of which will never be forgotten. These iconic images will long endure. 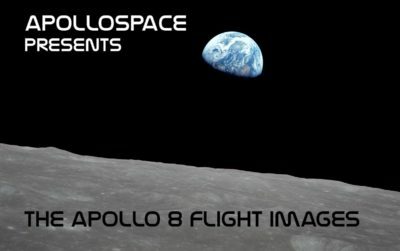 Apollospace® proudly presents the most comprehensive collection of fully restored and enhanced Apollo 10 flight images at the highest quality and resolution available! Apollo 10, the second manned Apollo mission to orbit the Moon and the final Dress “rehearsal” before the manned landing of Apollo 11, celebrates its 50th Anniversary in May, 2019. 1442 high resolution flight images from the Apollo 10 Mission – every image photographed by astronauts during the mission! 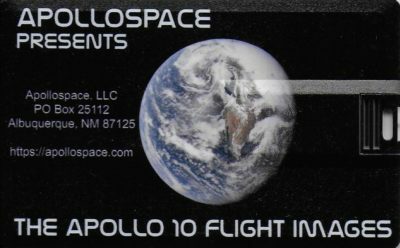 This special commemorative Apollo 10 50th Anniversary USB flash drive contains the complete catalog of every photograph taken by the Apollo 10 astronauts during this historic mission – fully restored and enhanced at the highest quality and resolution available! 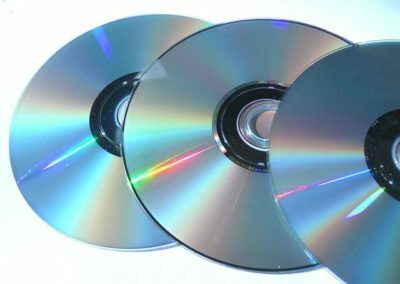 That’s enough to fill 4 DVDS! Color photo magazines (27N, 34M, and 35U) measure 5200 x 5200 pixels at 300 dpi. Black & white photo magazines (28O, 29P, 30Q, 31R, 32S, and 33T) measure 4000 x 4000 pixels at 300 dpi. At 5200 pixels, the color Apollo 10 flight images on this USB are up to 70% larger than partially restored and corrected counterparts available online and on other commercially available media, which generally measure only up to 3000 pixels each, are only a few megabytes in size (if that), and have not been fully corrected and cleaned. 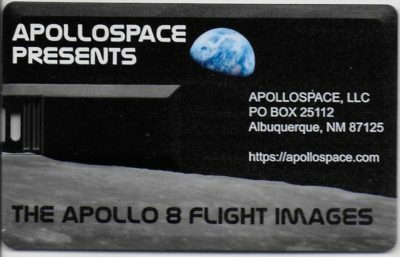 Each and every image on The Apollo 10 Flight Images USB has been painstakingly cropped and corrected for color, tone, and contrast and cleaned of blemishes including dust, hairs, scan lines, emulsion spots, streaks, scratches, stray reflections, and other flaws. Apollospace® proudly presents the most comprehensive collection of fully restored and enhanced Apollo 7 flight images at the highest quality and resolution available! Apollo 7, the first manned Apollo mission to fly, celebrates its 50th Anniversary this year. 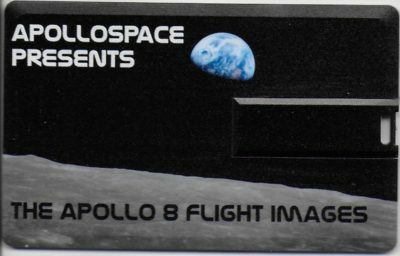 This special commemorative Apollo 7 50th Anniversary USB flash drive contains the complete catalog of every photograph taken by the Apollo 7 astronauts during this historic mission – fully restored and enhanced at the highest quality and resolution available! Each JPEG image on this commemorative USB collection measures 5000 x 5000 pixels at 300 dpi. The individual image files on this USB are huge – averaging over 20 megabytes in size each. 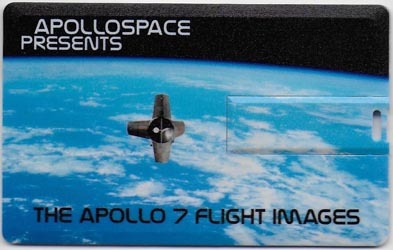 At 5000 pixels, the Apollo 7 flight images on this USB are up to 65% larger than partially restored and corrected counterparts available online and on other commercially available media, which generally measure only up to 3000 pixels each, are only a few megabytes in size (if that), and have not been fully corrected and cleaned. Each and every image on The Apollo 7 Flight Images USB has been painstakingly cropped and corrected for color, tone, and contrast and cleaned of all blemishes including dust, hairs, scan lines, emulsion spots, streaks, scratches, stray reflections, and other flaws. In a year of numerous 49th and 50th Apollo anniversaries, we couldn’t wait to to bring you the most beautiful, high resolution, fully restored, cleaned, and corrected Apollo era images available anywhere. You can now view full screen images of the Apollo 7, 8, 9, 10 and 13 missions individually in the mission magazine galleries or, also for the first time, as seamless full screen slide shows. You can download pristine higher resolution images by mission magazine (consisting of up to nearly 200 photos each) for only as little as a dollar or two. No cleaner collection of these images exist and Apollospace is the only place to get them. We also currently offer a number of Gemini mission galleries as well. As 49th and 50th Apollo anniversaries approach, we’ll be offering many more images, missions, and programs. The Apollospace image process page details the technical work of bringing these photographs to life. But more than an historical record of one of the greatest accomplishments in human history, these images are art. Each Apollo era photograph appearing on this site was taken by a human hand and with a human eye. 50 years later, each one has been restored, corrected, and enhanced with a human eye as well, to be as visually pleasing as they are historically and naturally accurate. We also couldn’t wait to bring you our authentic hand-signed astronaut autographed photographs, books, and space flown items. 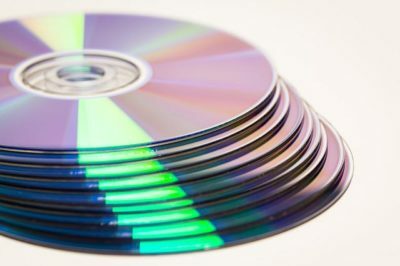 Our store currently has hundreds of items listed, just a fraction of the hundreds more we have available and will be adding soon. This is only the beginning. We will be bringing you even more images from other NASA and international programs, including Mars, planetary galleries, 3D galleries, and more. Check back frequently as we will be adding new material and products every week. Follow Apollospace on Facebook, Twitter, and Instagram for special offers, rewards, coupons, and other discounts. If you like space, you will love Apollospace!